Members of AMIR Siguatas Lencas in Honduras meet to identify needs and prioritize local objectives to incorporate into their action plan. During National Volunteer Week this week, NCBA CLUSA is pleased to announce its newest USAID Farmer-to-Farmer volunteer assignments. From pest management to web design and anti-child labor specialists, organizations on the ground are looking for qualified volunteers to support their efforts in the coffee and horticulture sectors of El Salvador, Honduras and Peru. 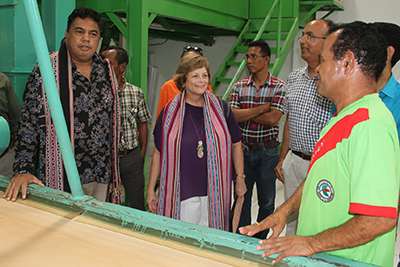 NCBA CLUSA began the “Coffee Systems” program in El Salvador, Honduras and Peru in 2018. Working with local host organizations, we have developed targeted scopes of work in partnership with communities to support host organizations in three sub-sectors: co-op development, sustainable coffee production and horticulture enterprise. The first volunteer arrived in March 2019, and the newest assignments have just been posted! The first volunteer in the new program, James Graham, recently returned from an assignment in Honduras with indigenous women’s groups. 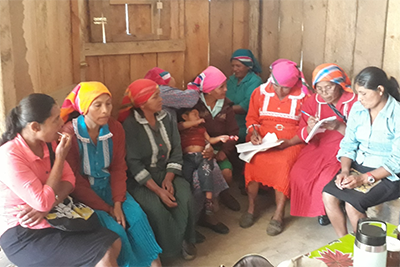 Working with AMIR (The Association of Renewed Intibucan Women) and it’s social enterprise Siguatas Lencas, a producer group with indigenous women members in Honduras, Graham supported the group in defining a 12-month business action plan to address sustainability. NCBA CLUSA’s USAID-sponsored Farmer-to-Farmer “Coffee Systems” program sends American farmers and agribusiness professionals on 2-4 week agricultural development assignments, promoting sustainable economic growth and agricultural development worldwide. Volunteer technical assistance from U.S. farmers, agribusinesses, cooperatives and universities helps smallholder farmers in developing countries improve productivity, access new markets, and conserve environmental and natural resources. Partnering with Engineers without Borders and the National Peace Corps Association, over the next five years, the goal is for volunteers to train over 40,000 clients. We are always looking for experts in agricultural production, post-harvest handling, marketing, cooperative development, financial management, food processing and other agricultural disciplines. NCBA CLUSA pays all assignment-related expenses. You can see open assignments here. Assignments are open to NCBA CLUSA members and other well-qualified individuals. 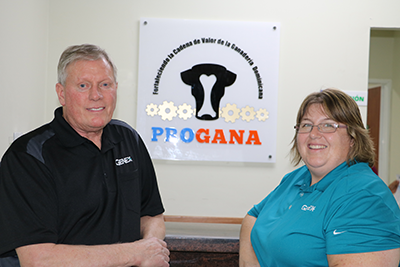 Membership with NCBA CLUSA connects you to our global cooperative network and comes with opportunities like Farmer-to-Farmer to make a lasting impact on communities around the world.